The Express-Times are standing behind New Jersey and Pennsylvania’s blue law that bans hunting on Sunday, originally enforced because you should be in church. They are arguing hunters have to share the great outdoors, which they largely pay for, with other people who don’t pay for it. 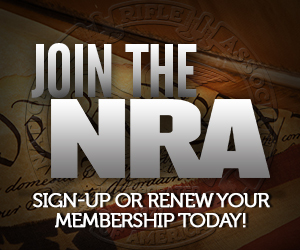 I am not a hunter, but it’s very important for gun rights in this country to turn around its decline. There are plenty of people on our side who are happy to throw the “fudds” off the lifeboat, but the hunting cultures nonetheless provides a lot of bodies to the gun rights movement, and it’s decline will hurt us at the end of the day. Nearly every other state in the country allows Sunday hunting. There is no reason that New Jersey and Pennsylvania should be among the last states to repeal this blue law. I’m happy to support “not-hunting” on Sundays, as a matter of tradition and personal practice more than as a matter of law. It gives the animals and landowners in rural PA a day of rest. I have mixed feelings about this. On private land, I think it should be completely up to the landowner whether or not to allow hunting on any day she/he wants. On public land, I think perhaps it depends on how the land is managed and whether nonhunters can safely use the land on hunting days. For example, I like to mountain bike on a trail in the Croatan National Forest that is posted closed to nonhunters on hunting days, meaning that the *only* day I’m allowed to use that trail is Sunday. If NC were to allow Sunday hunting on public lands, it’d either be closed for the entire duration of hunting season, or else you’d have mountain bikers, trail runners, and hikers riding/walking down deer trails in the woods with hunters watching those same trails for deer, and perhaps getting pissed at bikers/hikers for spooking game (or worst-case, shooting at a mountain biker or runner thinking they were a deer). Perhaps there is a way to resolve such conflicts by compromises other than banning hunting on public lands on certain days, and I’m totally open to that, but I can see the other side as well. I do think laws that mandate Sunday as some sort of holiday are ill-advised, counterproductive, and downright wrong—I was shocked to find I wasn’t allowed to go to the grocery store on Sunday in Boston a few years ago, when my son was at Boston Children’s—but I doubt hunters would want to trade Saturday for Sunday as a nonhunting day, so I think this is more than a blue-law issue. I’m very pro-hunting, I’m just not sure what a good solution is. How long is the firearm hunting season? Most states I’m familiar with it isn’t more than 6-8 weeks for gun hunting. And usually even National Forests aren’t closed during bow-only seasons. I am struggling to see how this has a large impact on “non-hunters” in most areas. Indeed. Hunters think firearms season is way too short already. Sure, but then you start letting the deer have a vote and the whole thing goes to hell! What deer? in 2 weeks of hunting I saw one deer, barely, thru the brush and trees. Only saw 3 deer dragged out of those woods also. Used to be if you didn’t see a dozen a day you felt like your luck was horrible, now you feel lucky to even catch a glimpse of one. This is on Moshannon State Forest land in Centre county. I see plenty while I’m driving, boating, or otherwise in position where the law frowns on you pulling a gat out and dropping those dangerous outlaw deer where they stand. I was lucky enough to get a mature doe during an antlerless management hunt here in north TX this year though! How long is the firearm hunting season? In the 2 states I hunt in, it’s 1 week in the first and 2 weeks in the second. Hardly a huge inconvenience to the general population IMHO. 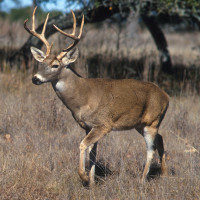 In eastern NC, deer season runs from September 13th through January 1st—archery 9/13-10/3, blackpowder 10/4-10/17, and regular gun 10/18-1/1. As I recall, the “confine yourself to the baby trail near the road on hunting days so you don’t get shot” sign usually goes up in October and stays up till the end of hunting season in January, which is one of the best times of the year to ride (the other being early spring). Again, I am a firm supporter of hunting, and would like to take it up myself at some point, opportunity permitting. I’m just saying that under the current situation, there are areas where Sunday is the only day per week that nonhunters can use certain areas, so I can see both sides of this. Perhaps a more fine-grained approach that says “hunting is allowed on these lands over here 7 days a week, but is restricted on these other lands to 6 days/week” might work. Maybe an alternative solution is to require non-hunters to purchase permits to make use of the land and fund its preservation… so a mountain biking permit, or a horse riding permit, etc. 1. Hunters pay for the preservation of state game lands, and therefor should enjoy the maximum benefit of doing so, including hunting on Sundays. Your mountain biking, hiking, whatever is secondary to that when they’re in season. 2. Hunting is not permitted on Sundays, but other users chip in a little bit to cover the costs of using the land. I know option 2 seems Statist and contrived, but think about it: it could be incredibly beneficial as it would mean more money to improve these lands, to build and maintain trails, keep them clean, and keep people on watch for vandals and abusers of the land. So do I. In NC, pretty much *all* of the excise tax the nonhunting majority pays on our nonhunting guns and ammo is used to fund hunting and game lands (unlike most states, NC doesn’t allocate much or anything of that to fund shooting ranges, just game lands). The salaries of the game wardens and those who administer hunting programs are paid by my income taxes, and every time I buy a box of 9mm or .223 or a new gun, the excise taxes go to NC game lands. I don’t think that’s entirely fair, but I’m OK with the system as it is, *provided* nonhunters have fair access to game lands also, can CCW on game lands the same as anywhere else, etc. I think allowing 1 day a week for nonhunting activities in certain limited areas (like running/hiking/biking trails) is not necessarily unfair. We do; see above. If you run the numbers, I suspect that in NC nonhunters contribute as much funds to game lands as hunters do. Certainly we provide the overwhelming majority of Pittman-Robertson funds. Again, I’m not anti-hunting, and hiking and riding trails probably constitute 0.01% of eastern NC game lands, if that. I’m just saying I see how giving hunters an absolute monopoly on those trails three months out of the year, at the expense of walkers, runners, cyclists, and horseback riders, is a bit unfair *for those small areas in question*, and I can see how use-conflicts like this can lead to support of 6-day-a-week hunting on public lands instead of 7-day. Isn’t that already the case? Because “private land”? It’d depend on the wording of the law, I would think. If it says “hunting on public lands is prohibited on Sundays”, or there’s a specific exemption for private property, then private land is it’s own issue. But if the law says “hunting is prohibited on Sundays” with no qualification on where or who owns the land, then it’s just a blanket prohibition. IANAL and I don’t know PA law, but that’s my take. (a) Except as otherwise provided in this title, it is unlawful for any person to hunt for any furbearer or game on Sunday. (1) The hunting of foxes. (2) The hunting of coyotes. 3)’s s2928 refers to guest or no-fee hunting of released game birds. So it appears to ban all normal hunting on Sundays, except of coyote and foxes, even on private land. Sure, but you’re looking at it totally backward. Somebody earlier said “I think it should be completely up to the landowner” and I’m saying IT ALREADY IS! I.e. no private landowner is required-by-law to allow hunting on their privately-owned land, are they? No, the landowner is not allowed to even hunt his own land on Sunday, that’s not leaving it up to the landowner by any stretch of the imagination. Until recently, I believe NC prohibited hunting on private land on Sunday, but that was changed a few years ago IIRC. I believe Pennsylvania bans all hunting on Sunday, even on your own land, and I agree that is wrong; I believe it should be up to the landowner. Sorry to stir up confusion, everyone. You are absolutely correct that under current PA law a private landowner is NOT free to PERMIT hunting on his private property on Sunday. Hunting in PA opened October 1st with archery season, the last few small game seasons close in February, 26th mabey? Not positive off the top of my head. Groundhog and Coyote are pretty much year round I believe, as well as Crow on Thursdays, Fridays and Saturdays. Not the only blue law left in NJ – the local Trader Joe’s has a sign up noting they can’t sell alcohol before noon on Sunday, and I believe the counties of northern NJ have a general retail ban on Sunday morning. Some Sunday hunting is permited in NJ. I’ve phesant hunted on a private reserve on a Sunday every January for years. In Ohio hunting is not restricted on Sundays. Hogs, coyote and ground hogs are year round. No rifle caliber guns for deer, but this season we were allowed to use pistol caliber carbines .38 Special and bigger. We take…seems like this year it was 180,000 deer so far this season. And from what I can tell the population is still growing.